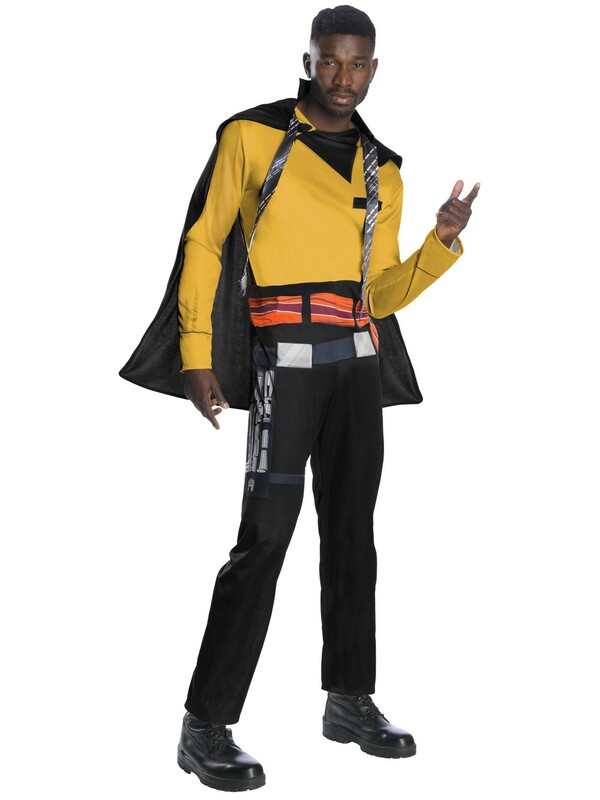 When you wear this Solo: A Star Wars Story Lando Calrissian Mens Costume, you’ll become that smooth-talking, selfless leader we know and love. You’ll use your wit and cunning to take on the Empire while looking suave in your gold patterned cape. Hop in the Millennium Falcon and lead the Rebels to Restore the Republic!